Sometimes I want breakfast for dinner. More importantly, sometimes I want pancakes – ok I ALWAYS want pancakes. But what I don’t want is a bunch of syrup and butter and that horrible sick and shaky feeling I get after inhaling a stack of them. 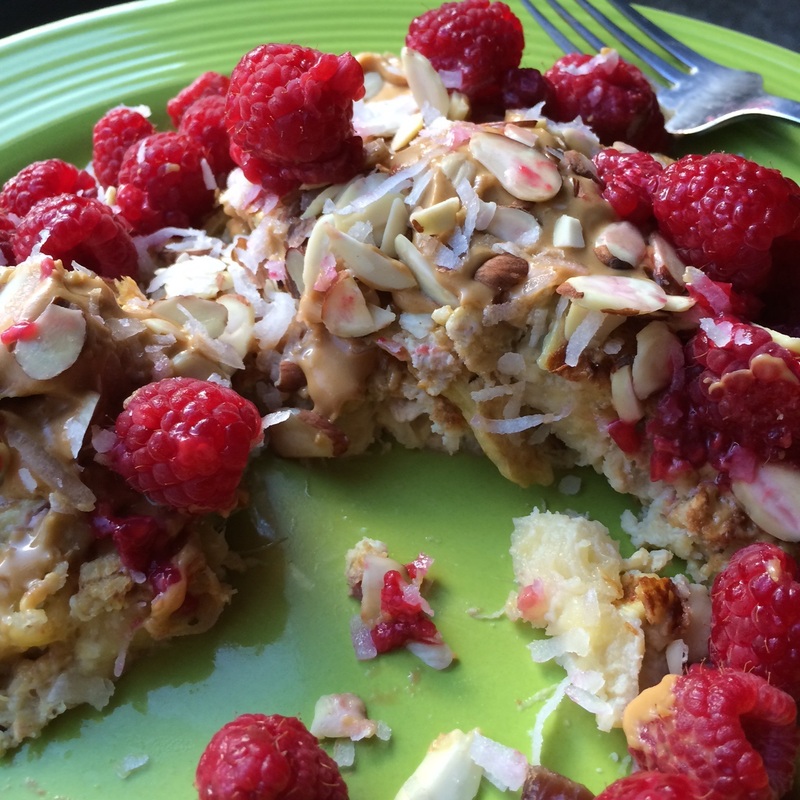 There’s tons of recipes out there for protein pancakes filled with tons of protein powders and what not, but I tell you something – that’s just not for me. You don’t need excess protein (especially from powders) to get enough in your diet. Plants have protein, too! And you don’t need as much as you think to build muscle. Plus so many of them have sucralose and other fake sugars and chemicals in them – yuck! But that’s a topic for another time. 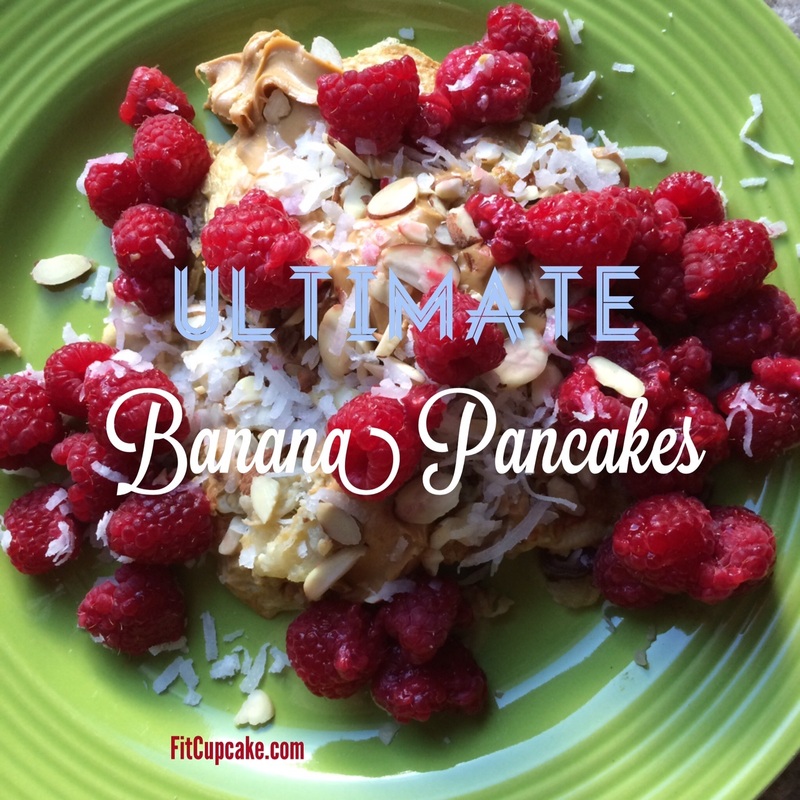 Today I want to talk about pancakes and making them clean and healthy. Heat up your skillet over medium heat. Chop pitted date into tiny pieces. Mix/mash together banana, oats, eggs, and date. 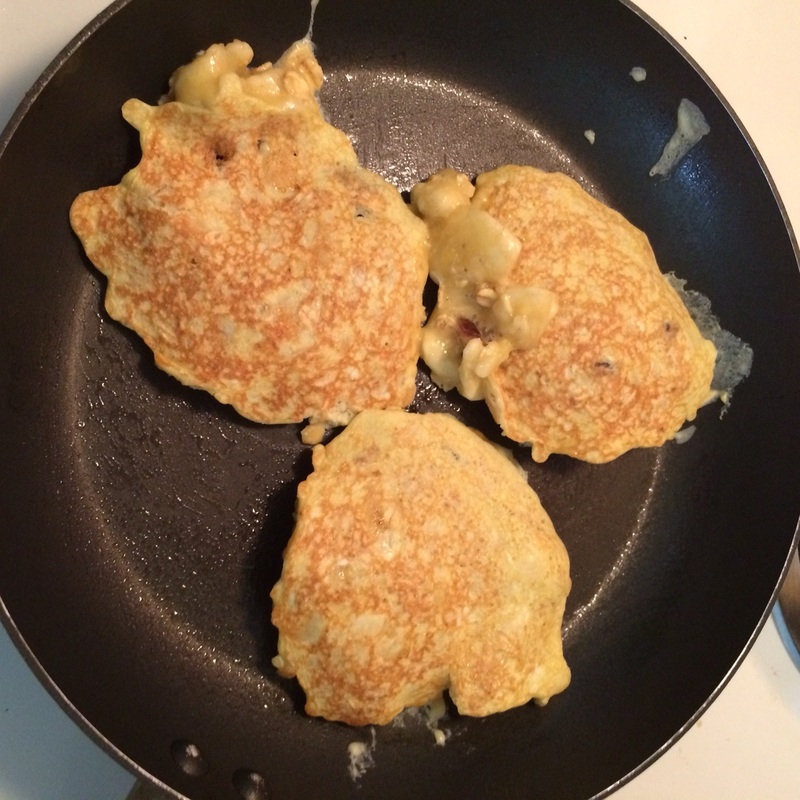 Pour into 3 medium sized pancakes in greased skillet. Top with lid. Don’t worry if you don’t get all of the banana completely mashed, it’s fun to bite into a glob of it in the middle of the pancake when they are done. Cook on each side for 3-5 minutes or until cooked through. 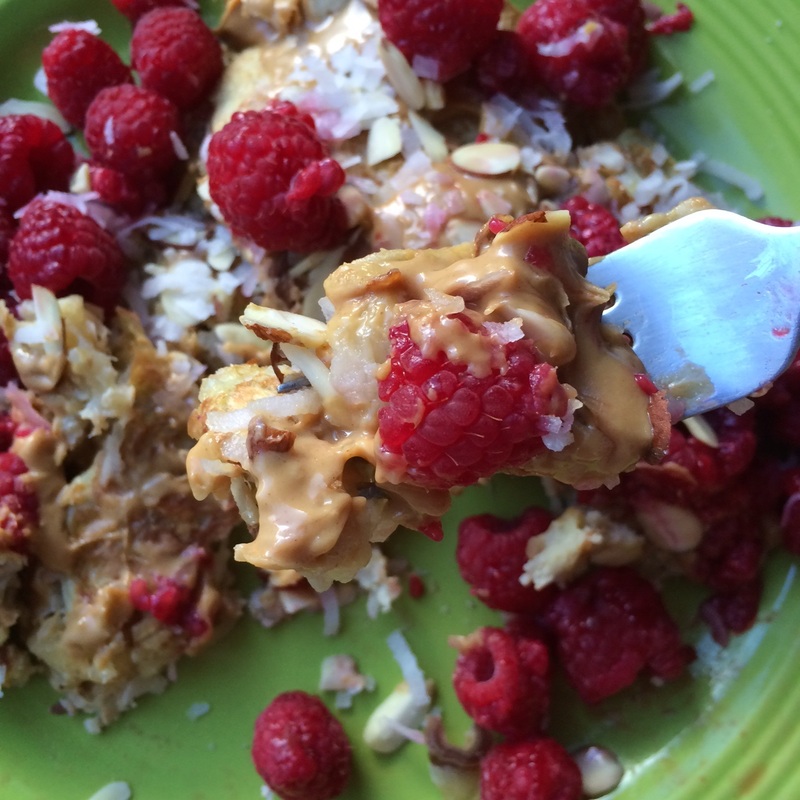 Tops with peanut butter, coconut, almonds, raspberries or any of your favorite ingredients. These were super filling and amazing. The peanut butter melts into ooey gooey heaven. The mixture of everything together is the perfect amount of sweet and indulgent. 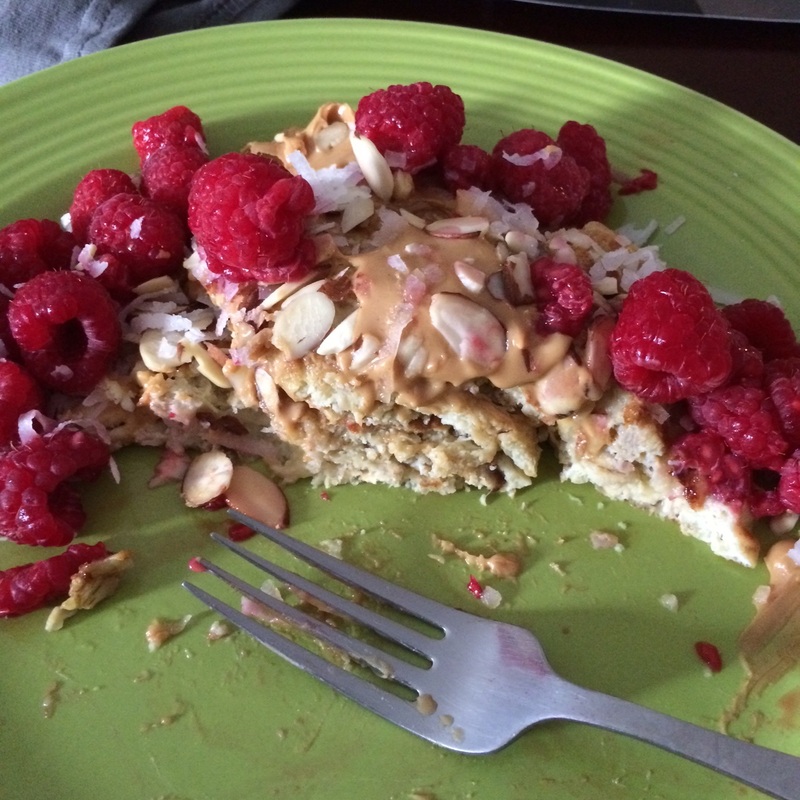 The pancakes alone net around 345 calories, 5.6g of fiber and 16.9g of protein. Additional toppings add varying calories.